As one of the senior leaders in human resources for Southern Company, Chris Collier serves in the dual role of director of Talent Acquisition and director of Diversity and Inclusion. As talent acquisition director, Collier sets the strategy and is responsible for all aspects of the recruiting and selection processes across the Southern Company system of 32,000 employees. This includes the fulfillment of all skill categories with an emphasis on diversity, strategic sourcing and critical partnerships with colleges and universities, the military, and other key organizations. As director of diversity and inclusion, Collier is responsible for assisting in the development of Southern Company’s long term D&I strategy as well as supporting our operating companies with their strategies to meet the ever-changing needs of our business, our employees and our customers. 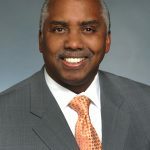 Prior to joining Southern Company in 2007, Collier was a senior recruiting leader in both the transportation and consumer products industries. A graduate of Auburn University, he earned a bachelor’s degree in mass communications. Collier also served in the U.S. Army for almost 10 years. Collier is a past board member of the Atlanta chapter of the Society for Human Resources Management (SHRM). He currently sits on the Chastain Park Conservancy Board in Atlanta and the Deans Advisory Council for Auburn University’s College of Liberal Arts. He gives back through consulting and mentorship to up-and-coming human resources industry professionals and is actively involved with various community-based organizations. Collier continues his professional efforts through memberships in SHRM and the Georgia State University HR Executive Roundtable.